Used Ford Fiesta ST Review - 2013-2017 | What Car? 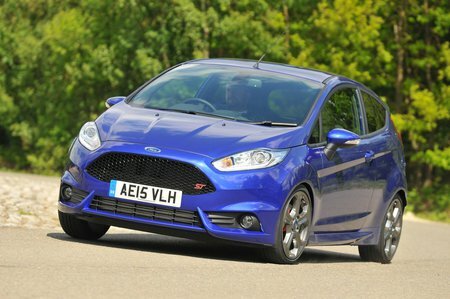 What's the used Ford Fiesta ST hatchback like? Every so often a hot hatchback comes along and simply grabs the class by the lapels. There have been Peugeots that have done it, Hondas that have had a go, and of course lively little Golf GTIs aplenty. Fast Fords have always enjoyed a certain reputation here too, often producing some of the lairiest and most outlandishly fun cars in this class, and without a doubt the Fiesta ST is right up at the top of the tree with those. The recipe is simple enough: you take one three-door Fiesta, drop in a more powerful engine, add sporty bodywork and fancy bucket seats, uprate the chassis to the point of no return and add in some wider wheels and sticky tyres. Job done. And in the case of this ST, it is - wonderfully. Under the bonnet is a lively turbocharged 1.6-litre Ecoboost engine, which drives the front wheels through a slick six-speed manual gearbox. A power output of 180bhp is a large figure for what is a small and relatively lightweight car. It’s good enough to feel splendidly quick beneath the toes and to propel this car for 0 to 62mph in just 6.9 seconds - supercar fast not so many years ago. Approach a corner and things get even more thrilling. The steering is quick to the point of being razor-sharp, but it never becomes wearing, only delightful. Grip is tremendous, and, when it has been used up, the handling’s a delight, with a rare adjustability to its chassis that allows you, where you can of course, to be playful with the car. The payback for this communication is a ride quality that is surprisingly bouncy at low speeds and threatens to turn nasty. It’s never what you’d call comfortable, but it does get better the faster you go, and it gives the ST exactly the sort of body control it needs to fulfill its function as a wonderfully spirited hot hatch. 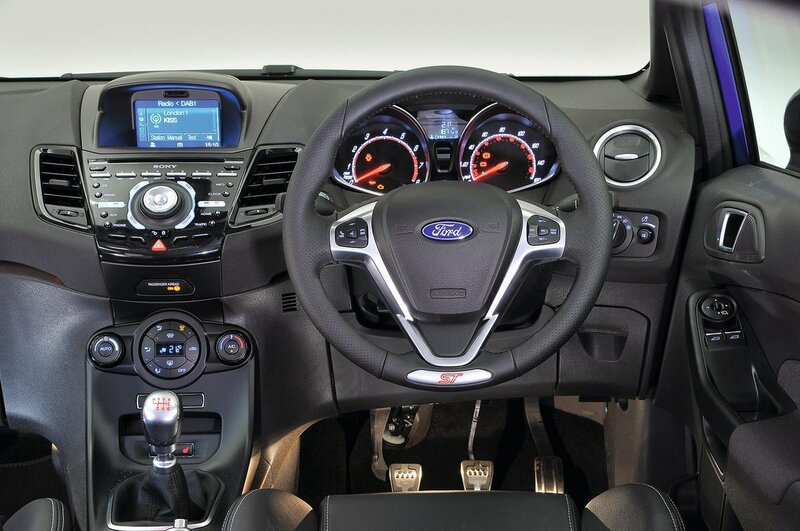 Inside is a relatively spacious and dolled-up interior, with the usual slightly disappointing Fiesta dashboard, complete with a confusing array of small buttons and a desperately small 4.2in screen. The driving position is set a little high, but it comes with comfortable Recaro sports seats as standard, and they hold you in place well. There’s plenty of adjustability to accommodate a taller driver, though. There’s a reasonable amount of space in the back for two - three for short hops - and there’s enough space in the boot for a couple of suitcases, or a large weekly shop. There are potentially three trim options to seek out. The ST-1 trim gives the Fiesta ST-style 17in alloy wheels, a body kit, rear spoiler, rear diffuser and honeycomb mesh grille, as well as a DAB radio and fabric upholstered Recaro seats. The mid-range ST-2 adds partial leather and heated front Recaros, keyless ignition and a Sony stereo system, while the ST-3 models get sat-nav, cruise control, climate control, automatic wipers, lights and dimming mirrors and keyless entry.